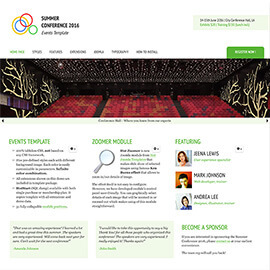 If you organize or host a big event, it's necessary to develop a website for this event several months before. 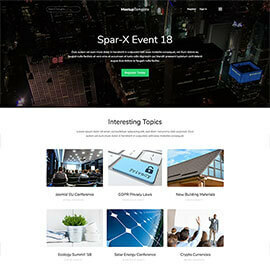 Events templates can be used for one-time events or for repeating events. No matter what's the main topic of your event, templates from this category will be a good choice for the job.